It looks like a major private sector contractors IR35 battle is looming. The Government is in the process of rolling out IR35 changes in the public sector. 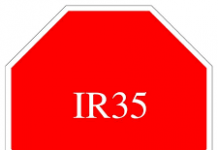 Contractors will no longer determine their IR35 status. Their ’employer’ i.e. the Government department will decide it for them. To assist them to do this, HMRC have devised an IR35 Employment Status Test. Some public sector employers of contractors have taken the safe option and are saying that they will no longer use contractors who operate through a personal service company. Others are sitting down with contractors while they do the new online test. Indeed, we wrote recently of a group of 5 contractors in the NHS being forced to take the online test together with both their manager and ‘the woman from HR’ in attendance. All 5 were put down as inside IR35. We even had a contractor who passed the IR35 test but Deloitte advised the Government department to declare the job inside IR35. “That’s just in case of future changes” they said. They advised the Government department to take no chances. Now, it is easier for the Government to roll this out in the public sector as they are the employer. They don’t have to get any new IR35 laws through Parliament. After all, they can employ whom they want and for any reason. If it is to roll out in the private sector they would almost certainly have to get that through Parliament. So, will there be a private sector contractors IR35 battle to come? Some private sector contractors are rubbishing the idea. However, we have two clues here. Firstly, we hear that not only are the government rolling this out in their own departments, they appear to have told the big consultancies who do work for the Government that any contractors they use come under these changes too. They didn’t publish this – but it appears to be happening. Big consultancies who do work for the Government are telling contractors that they can no longer use personal service companies while doing work for the Government. This is one inkling of what Government think Private Sector Contractors IR35 status should be. After all, when putting in these measures, Chancellor Hammond said that it was unfair that a freelancer earning £100,000 a year should pay less tax and NI than an employee earning the same amount. So, why would he think that this is true in the public sector and not in the private sector? I think that the answer here is obvious. The other clue is that the MD of a major agency said on LinkedIn that he knows of a contractor who is working at HMRC who is helping plan phase 2 of these changes – for the private sector this time. It seems that this is to take place in 12 months. I think that another major clue here is the amount that the Government reckon that they will earn on extra tax and National Insurance from this. In tax terms this is a relatively trivial amount. 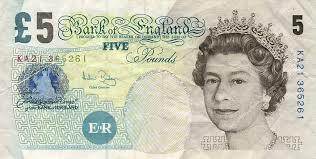 To give you an example, the national insurance changes that the Government reversed would bring them in £2bn. Now, that’s a decent size for a budget measure. Taking about the reversal of their national insurance proposal, that has made a £2bn hole in the Chancellor’s budget. He says that he will claw that back again in his Autumn Budget. So, where is he going to get that from? A good source would from rolling out the public sector IR35 changes to the private sector too. I saw, somewhere, recently, that the Government uses 20,000 contractors. It’s from them that they intend to get that extra £185m. However, there are 4.8m self employed workers and freelancers in the UK. Making more of them pay the IR35 tax, or join an umbrella company, would bring in a major sum of tax and NI. That would be well worth doing as opposed to the piffling amount of money they will bring in from the public sector contractors. Government Ministers are saying that they have ‘no plans’ to roll this out to the private sector. They are not saying they will not. The ‘no plans to’ line is one that politicians often use when they want to disguise the fact that there intention is to do so. How many times have we heard politicians on Newsnight say things like “I have no plans to stand for the leadership of my party” or “we have no plans to raise taxes”. It is a standard reply and it leaves them wriggle room for the future. Those contractors who say this will never happen might be right. Those who say that private sector companies will not be as risk averse as Government departmental managers might be right. However, they may be wrong. And it is best to be forewarned of this potential private sector contractors IR35 battle to come. The Romans used to say “If you want Peace, Prepare for War”. So, contractors group, IPSE, need to gear up for this potential battle. Firstly, they could contact the names of those 18 Conservative backbenchers who caused the national insurance changes to go. IPSE need to get as many allies as possible in Parliament. It would be best if Conservative backbenchers have a quite word with the Government before they even try to put these changes on the statute book. Hopefully, they will warn them that they won’t support these changes. Secondly, they should prepare their arguments as to why this will be bad for private sector contractors. They should say why it will damage UK companies. For instance, it could well add extra expense. It will also make the companies far less flexible, less able to take on contractors for short term work. Thirdly, they should question the legality of the new HMRC IR35 Employment Status Test. Remember that the IR35 laws have not changed at all here. Contractors who were outside IR35 before the test should still be outside. This test has no legal basis whatsoever. It is HMRC’s opinion of the law. And that has not been very accurate in the past. They have had an astonishingly low rate of success in coming out on top in IR35 investigations of contractors. So, here’s what they should do. IPSE, and their Accountancy firm allies, have won countless IR35 investigation battles with HMRC. What they could so, is to ask all those contractors who have won IR35 battles with HMRC previously, to sit the test anonymously. 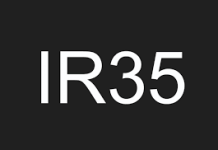 As all those contractors have proof that they are outside Ir35, then they should all pass the new IR35 Employment Status Test. I’m willing to bet that they won’t though. The last IR35 test that HMRC created was so heavily skewed that it made virtually all contractors inside IR35. They had to scrap that. However, this IR35 test should have been created by a neutral person, or group, which HMRC certainly isn’t. Once IPSE, and their allies, have the information on how many of these contractors passed he test and how many failed it they should put this information in front of the Government and the press. IPSE should also gear up for a legal battle over this. They were set up (as the PCG) originally to fight the new IR35 laws in 1999. This is the main reason for them being. However, they may now be just about to fight the final battle for IR35. If this gets rolled out to the private sector too, that will be the end of the 18 year long IR35 battle and the Government would have won. Many private companies will do the same as Government departments and insist that contractors operate through umbrella companies rather than personal service companies. Others will make contractors do the test. HMRC are constantly tweaking this test. It’s also in their interests that as many contractrs fail it as possible. IPSE should gear up now for this battle ahead. It should not come as a surprise to them in 6 months or 12 months time. They need to get their members, their committee, their allies, their arguments and their finances in good order ready for this battle. Also, they shouldn’t let the Government take the initiative either. They should send out warnings beforehand. They should prepare for a private sector contractors IR35 battle. If they want Peace, they should prepare for War. New umbrella product Simply Umbrella came into being to solve the public sector IR35 problem. Cut your Accountancy Costs with Aardvark Accounting. 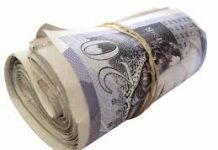 Next articleIT Contractor Rates Rising – New Boom on the Way? Indeed. They need to pull their damned fingers out.